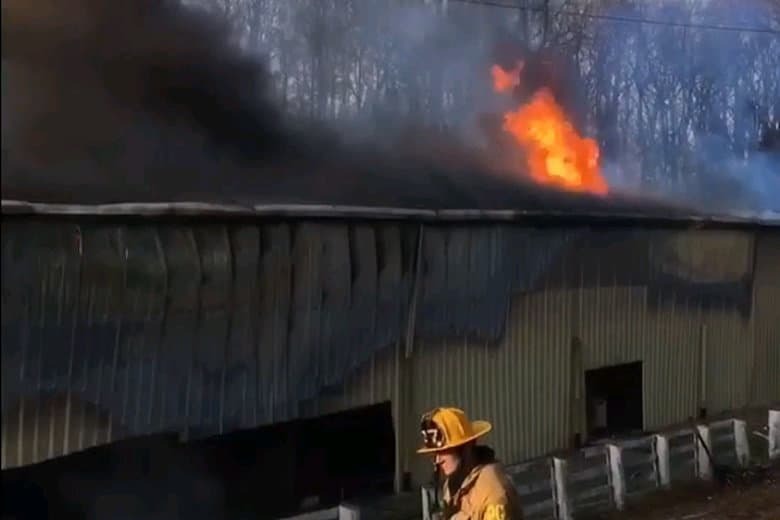 A warehouse fire that began Saturday in Upper Marlboro, Maryland, caused at least $1.5 million in damage and took more than two days to put out, the Prince George's County Fire/EMS Department said. WASHINGTON — A warehouse fire that began Saturday in Upper Marlboro, Maryland, caused at least $1.5 million in damage and took 58 hours to put out, the Prince George’s County Fire/EMS Department said. The cause of the blaze that started Saturday morning at B&K Rental Co. remains under investigation. There were no injuries, spokesman Mark Brady said. The fire broke out around 7:30 a.m. Saturday, and portions of the building collapsed. It was declared extinguished at 5:30 p.m. Monday, Dec. 31..
B&K Rental Co. provides scaffolding, bleachers and seating for a variety of events, Brady said. The White House, the Cherry Blossom Festival and a few area universities are listed as some of the company’s top clients, according to its website.